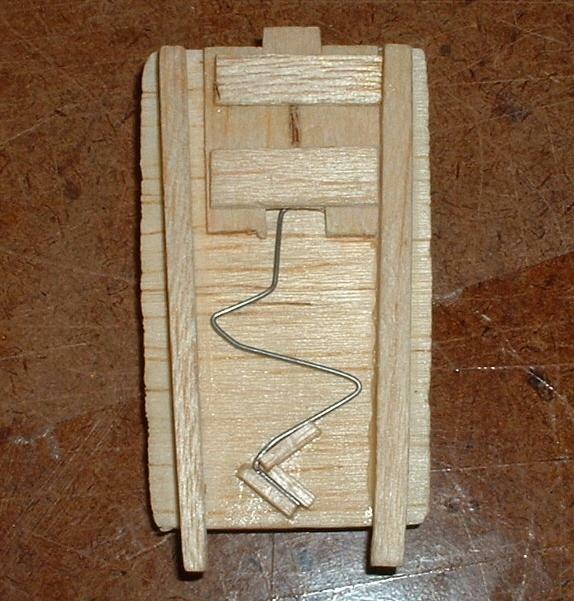 Here's a light weight latch for balsa fuses. Balsa fuses usally have a hatch cover that must be removable, yet have a positive method to remain attached during flight. This method eliminates the use of screws, tape, rubber bands, and heavy metal latches. It's simple to construct and light. Note: This is not my invention. I came across this method in a Herr's kit (RallyXP). 1. 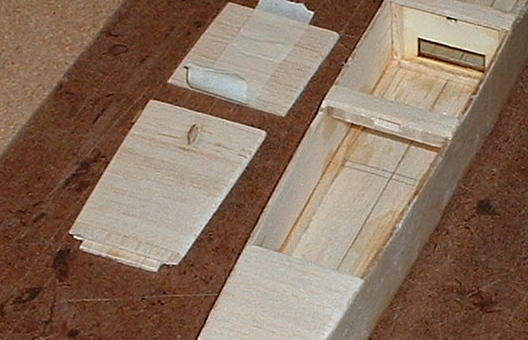 Take two pieces of 1/32 inch balsa 3/4" x 3/4" and glue them together with the grain running in opposite directions. 2. Cut 3/16" strips off each side, leaving a 5/16" center slider strip. Make sure that they are strait and accurate cuts. 3. 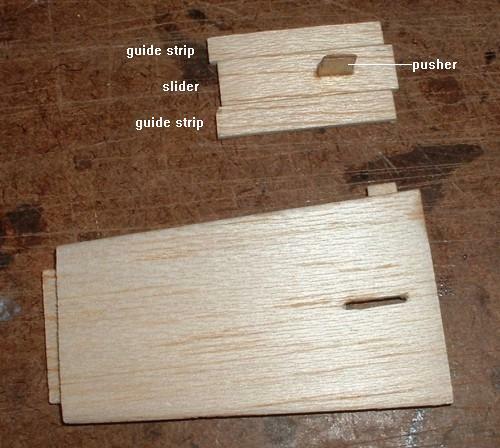 Make a 1/4" x 5/16" 'pusher' using either 1/16" plywood or two pieces of 1/32" ply glued together. 4. Cut a slot in the slider strip 1/4" long to accept the pusher. The slot should start 5/16" from the end of the slider and should be a tight fit. 5. Cut a 1/16" wide slot in the hatch cover. It should start 3/16" from the end of the hatch cover and be 3/8" in length. 6. Glue the pusher into the slider. 7. Line up the slider and guide pieces on the underside of the hatch cover with the pusher through the slot in the hatch cover. The guide pieces must be against both sides of the slider with a light friction fit. Ensure that the slider can slide. Using thick CA, glue the guide pieces into position. Don't glue the slider - while the glue is drying, constantly move the slider back and forth to ensure that it doesn't get stuck. 8. Cut some 1/32" thick balsa strips about 3/16" wide to use as cap strips. Glue them to the guide strips as shown in the photo. Again, make sure the slider doesn't get glued - move it constantly until the glue dries. N E W - 9. recently I built a second Gambler and the slider on the hatch cover was a bit loose. The fix is an upgrade to this article. It's a simple spring made of .020 piano wire. CyA was used to fasten the spring towards the front of the hatch. The part of the spring that comes in contact with slider is bent flat to push against the slider. The size and thickness of the various pieces are not critical. 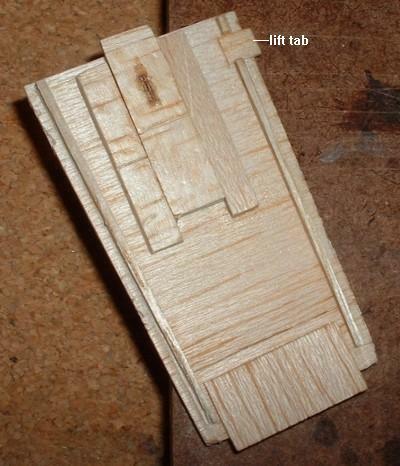 An optional addition is glueing a lift tab to the side of the hatch cover.